ODAC’s annual Gear Up event never fails to excite Rafflesians, cycling amateurs and well-traveled pros alike. Really, what better way is there to spend the mid-term break’s first weekend other than covering 67.74 kilometres (although it certainly felt longer than that) of Singapore’s most exciting biking trails with friends? Raffles Institution’s Outdoor Activities Club (ODAC) offered many treats at their annual overnight cycling event Gear Up – including paths along homely farmsteads in Lorong Halus (almost anomalous to the kind of urban ubiquity we’re used to seeing everyday), stunning city sights along Marina Bay – no less awe-inspiring than they usually are – and Park Connectors around the heartlands. Gear Up began at East Coast Park and traced Singapore’s eastern perimeter, then cut a path through Ang Mo Kio-Bishan, Marina Bay, to return back to the starting point. The journey was expected to take an estimated 7 to 8 hours with four brief rest stops, and ahead of us lay several daunting challenges, like seemingly endless inclines, staircases, and a sleepless night. Participants were split into groups of 10, each led by several ODAC members who, having cycled the route up to 4 times prior in preparation, were more than acquainted with its challenges and well-qualified to guide the motley pack. “The practice runs mainly helped us build stamina for the long distance trip. It’s a really great opportunity to bond as an ODAC batch and get to know each other better as well,” Ryan Chua (16A01A) laughs, “It’s also meant to get us properly familiarized with the route so we don’t lead y’all into a ditch!” Sure enough, our ODAC guides exuded just the kind of confidence and leadership we needed to keep the pedals going. They were serious when it came to safety and ensured each group member was coping well, but that didn’t stop them from being great sports as well — laughing and joking along with the rest of us. 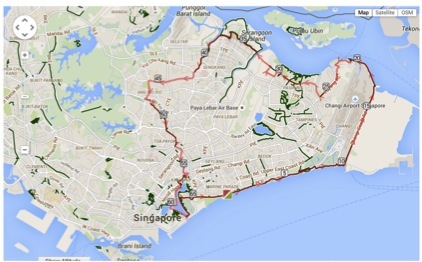 The 67.74 kilometres journey took us around Singapore’s eastern end through vibrant cityscapes and quiet, empty roads. 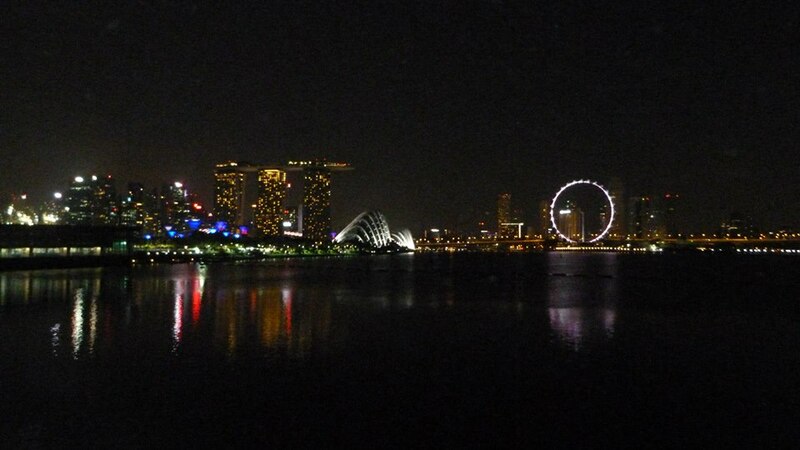 The stunning night cityscape greeted us at our final pitstop before the last leg to Gear Up 2015’s finishing line. Although Gear Up 2015 gave participants just as much physical and mental exhaustion as it did good sights, if not more, you can be doubly sure Raffles ODAC easily fulfilled its promise to deliver 68 kilometres’ worth of amazing memories riding the stars and racing the night together.